This historic fiction from a young adult view set in mid-19th century Worcester, Massachusetts, illustrates the impact of the first National Woman’s Rights Convention held there in 1850 on both the town’s children and all of us today. How does one go about choosing the right path to travel through life– especially when you are under the age of twelve and a female? Liza makes her life changing decision, but will it be the best choice? Lisa Writes Blog Review by author Lisa Arrington, 6 February 2014.
Review on telegram.com “Historian pens novel set in 1850s Worcester“, 3 February 2014. Also in printed version by Eric Stanway Worcester Telegram Towns 21 February 2014.
Review in Green Valley News “Winter Reading”, Sunday, November 24, 2013 (B1). 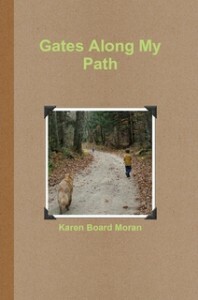 “Combining equal measures of historical research and historical imagination, Karen Board Moran has created a fascinating novel for young readers. What was it like to be Liza, a young Irish immigrant who lost both parents to accidents on the same day? Where would she and her sister and brother turn? An older sister, Mary, had found work with the Worcester Children¹s Friend Society, an orphanage in central Massachusetts, and she arranges for her siblings to join her. Settling down in Worcester just begins Liza¹s adventures, adventures that reveal much about life in mid-nineteenth century America. Review for the Worcester Women’s History Project. WWHP Newsletter, Fall 2013, (12). Risky Business: Edna Ione Smith Tyler. Women Unlimited Magazine, March 1998 (19). Who was Silas Smith? WWHP Newsletter, Spring 2003 (5 & 6). Member of the first National Woman’s Rights Convention. 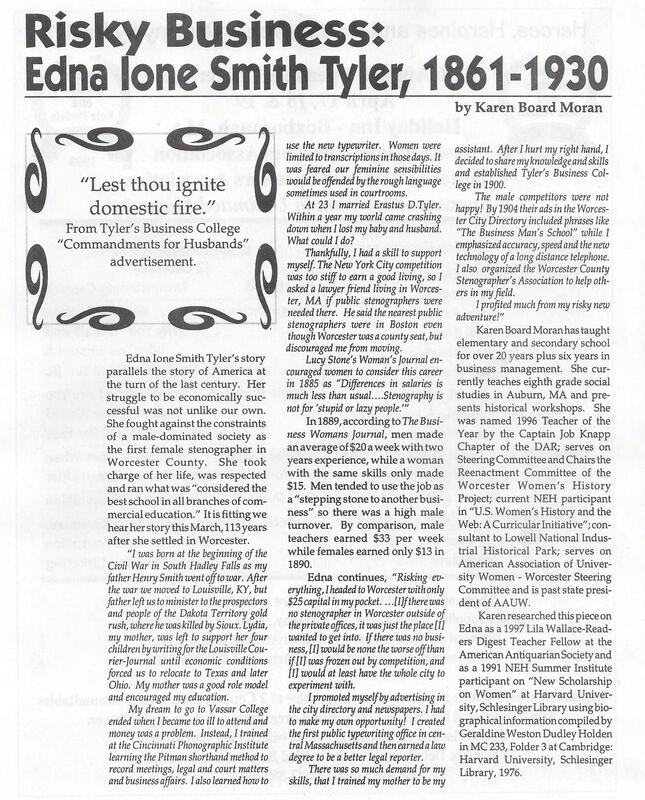 Crossing Paths with Pioneering Worcester County Women. WWHP Newsletter, Spring 2004. Sarah A. Ballard, Martha C. Eddy, Agnes S. Goulding, Ellen P. Lee, Jennette Pitkin, Mary Augusta Roper, Elizabeth Cutler, Mary Newell, Lucy W. Pierce, Martha Wheelock and Abby Wood head west. “Yours for Right, in Action as in Thought…” WWHP Newsletter, Fall 2004 (6 & 7). Lucy Waters Phelps, suffragist. “A Giant of a Woman”: Remembering Princess Winona. WWHP Newsletter, Spring 2005 (5). At a Crossroads in History: Abby Kelley in Millbury, MA. WWHP Newsletter, May 2006 (9-11). Clara (Clarinda) Cramond Fish Roberts. WWHP Newsletter, February 14, 2012. 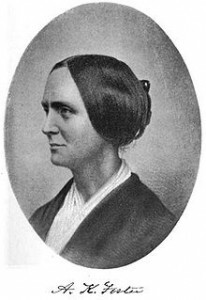 Abby Kelley Foster (1811-1887). 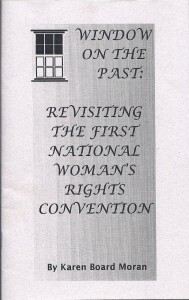 National Women’s History Museum Website, March 2012. Circles of Influence (Lucy Stone, Josephine Brawley Hughes and Clara Fish Roberts). WWHP Newsletter, Fall 2012, (5). Abby Spoke Here. WWHP Newsletter, Fall 2013, (5). Abby Kelley Foster visited Gerrit Smith in Peterboro, NY in 1843. Preserving a Window on Your Past. WWHP Newsletter, Fall 2013, (6). Cazenovia, NY daguerreotype by Ezra Greenleaf Weld identified. Book Signing Speech at 18th WWHP Annual Meeting. WWHP Newsletter. Spring 2014, (10-11). “Gates Along My Path”. Click here to book a presentation of the one woman play. Classroom materials were created by Claire Berkowitz and Karen Board Moran. 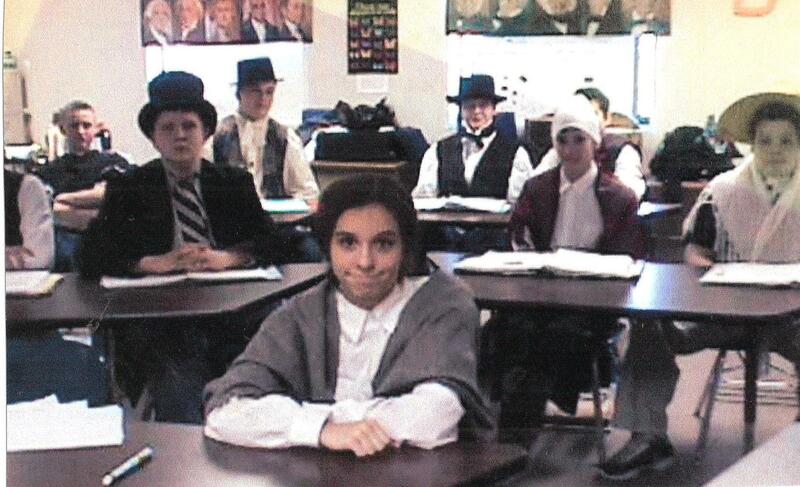 A classroom script based on historic documents with student materials. 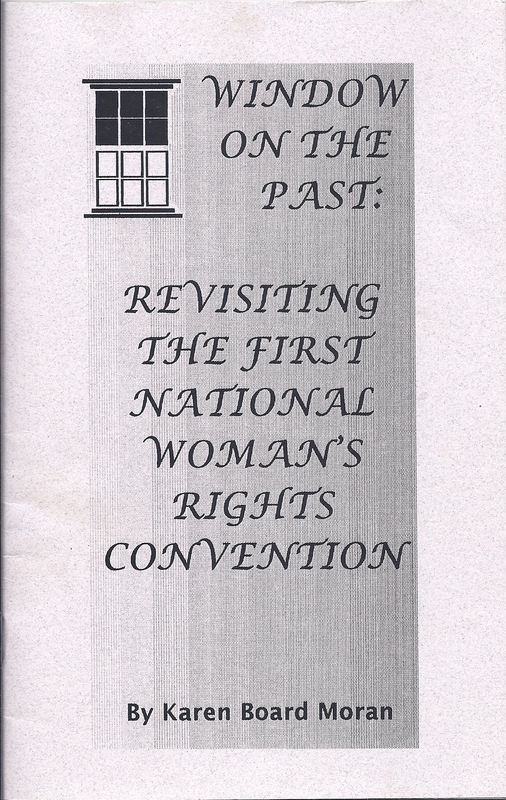 This pamphlet has been used for information in a dramatization in 2004. 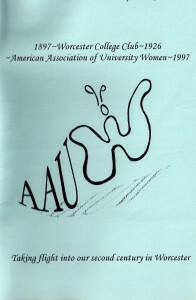 History of the American Association of University Women- Worcester Branch, 1897-1997. Laura Howie, Thirza Joost, Peggy Manoogian, Sue Martin, and Betty Orsi.